I studied photography, illustration and design at Chelsea School of Art, London. I now work as a photographer and shoot a variety of subjects. 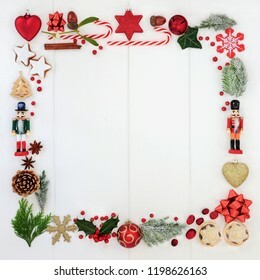 12.222 Stockfotos, Vektorgrafiken und Illustrationen sind lizenzfrei verfügbar. 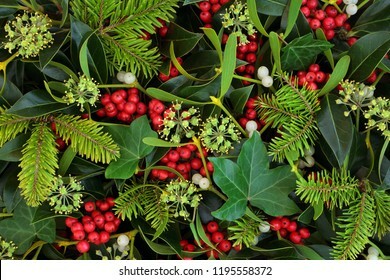 Holly, ivy and mistletoe Christmas and winter greenery background. Traditional Christmas greeting card for the holiday season. 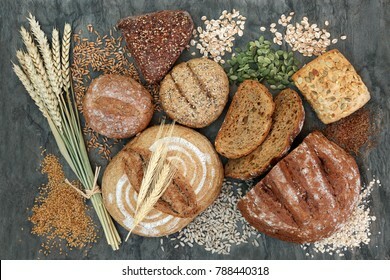 High fibre natural health food with whole wheat pasta, whole grain rye bread, oatmeal, oats, bran flakes and wheat sheath on lokta paper background. 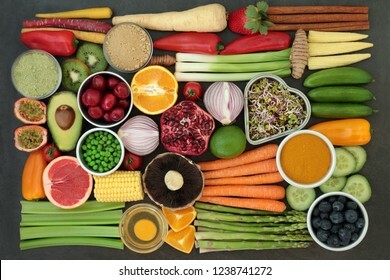 Diet health food for liver detox with fresh fruit, vegetables, herbal medicine, legumes, grains, seeds, herbs and spices. 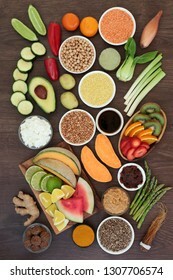 Foods high in antioxidants, omega 3, vitamins & dietary fibre. Top view. 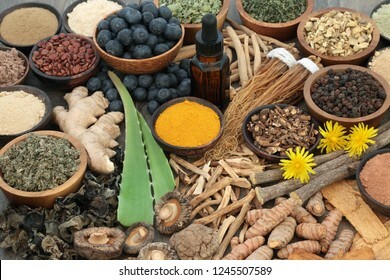 Adaptogen food selection with herbs, spice, fruit and supplement powders. Used in herbal medicine to help the body resist the damaging effect of stress and restore normal physiological functioning. 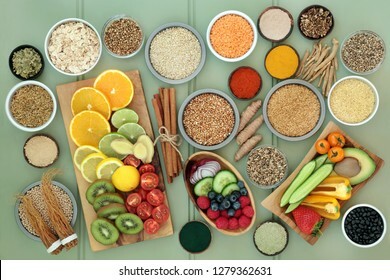 Health food for fitness concept with dairy, fresh fruit, vegetables, grains, cereal, seeds, pollen grain, herbs and spice. High in antioxidants, protein, anthocyanins, vitamins and dietary fibre. 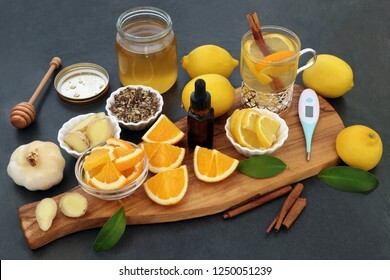 Alternative cold and flu remedy with thermometer, eucalyptus oil, fresh ginger, orange and lemon fruit, cinnamon sticks and honey with medicinal hot drink on slate background. 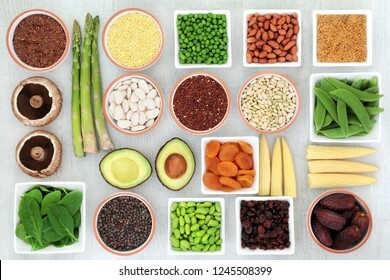 Protein plant health food selection for a healthy diet with grain, legumes, dried fruit, seeds, nuts and vegetables on rustic wood background. 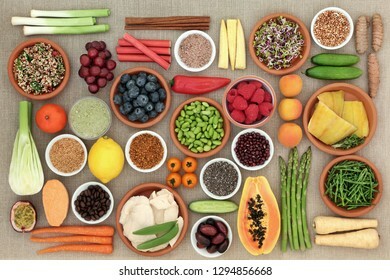 Foods high in fibre, antioxidants, vitamins and minerals. 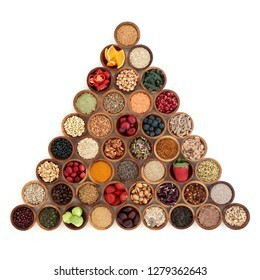 Adaptogenic food collection with herbs, spices, fruit, essential oil and supplement powders. Used to help the body resist the damaging effect of stress and restore normal physiological functioning. 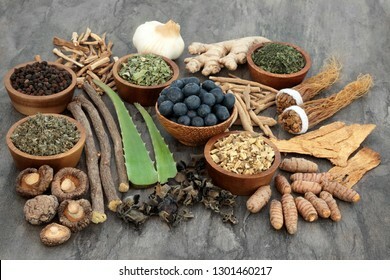 Super food to relieve anxiety and stress with herbs and spices used in herbal medicine that also help with relaxation and reduce chronic fatigue and depression. Top view on oak wood table. 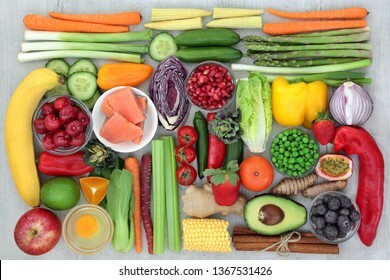 Super food for losing weight concept including fruit, vegetables and salads with medicinal herbs to help lose weight and suppress appetite. Top view on oak wood. 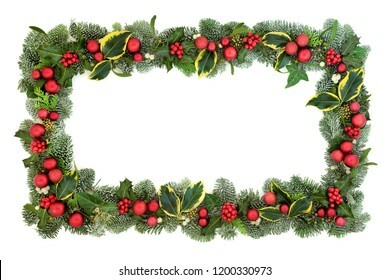 Christmas decorative background border with red and gold bauble decorations, holly berries, spruce pine, ivy, pine cones and mistletoe on white with copy space. 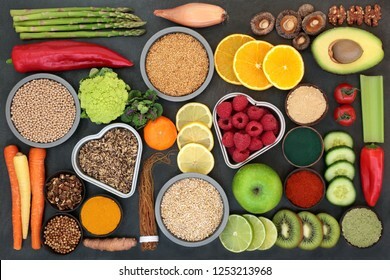 Liver detox diet health food concept with fruit, vegetables, herbal medicine, seeds, nuts, grains, cereals, and supplement powders. High in antioxidants, omega 3, vitamins & dietary fibre. Top view. 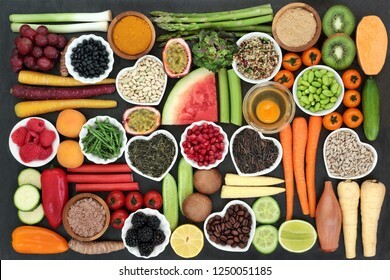 Health food for losing weight with fish, legumes, fresh fruit and vegetables, grains, nuts, supplement powders, herbs and herbal medicine used to help weight loss. Top view. 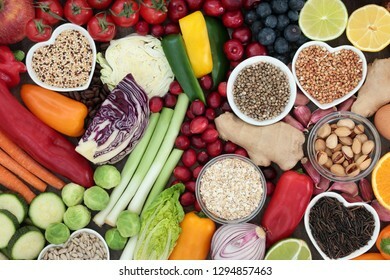 Health food concept for a high fiber diet with fruit, vegetables, cereals, whole wheat pasta, grains, legumes and herbs. 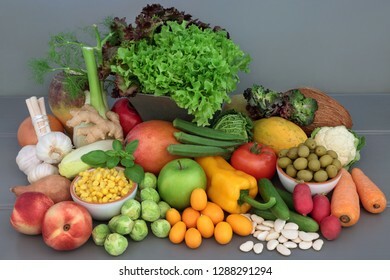 Foods high in anthocyanins, antioxidants, smart carbohydrates and vitamins. 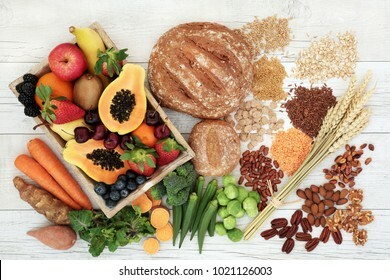 Healthy high fibre diet food concept with legumes, fruit, vegetables, wholegrain bread, cereals, grains, nuts and seeds. 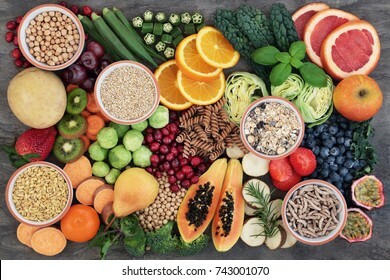 Super foods high in antioxidants, anthocyanins, omega 3 and vitamins. Top view. Adaptogen food collection with herbs, spices, fruit and supplement powders. Used in herbal medicine to help the body resist the damaging effect of stress and restore normal physiological functioning. 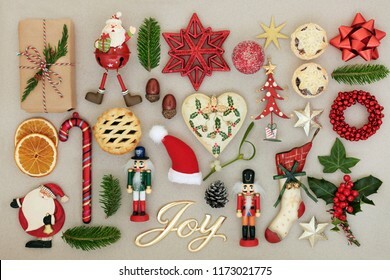 Christmas joy sign with retro bauble decorations, winter flora and traditional symbols of the festive season on mottled cream background. Top view. 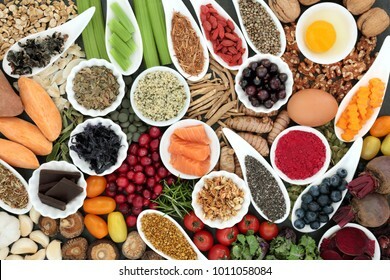 Health food for dieting with nutritional powder, supplements, fruit, pulses, nuts, cereals & grains including herbs used as appetite suppressants. High in omega 3, antioxidants, protein & fibre. 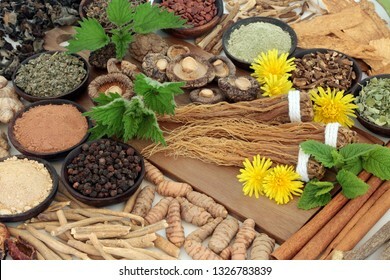 Adaptogen food collection with herbs and spices. Used in herbal medicine to help the body resist the damaging effect of stress and restore normal physiological functioning. On white background. 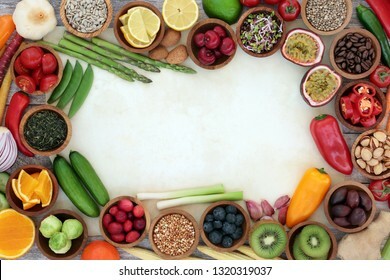 Health food concept with fruit, vegetables, seeds, pulses, grains, cereals, herbs and spices with foods high in vitamins, minerals, anthocyanins, antioxidants and fibre on slate background top view. 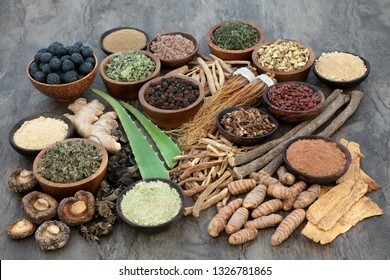 Adaptogen food selection with herbs, spices and supplement powders. Used in herbal medicine to help the body resist the damaging effect of stress and restore normal physiological functioning. 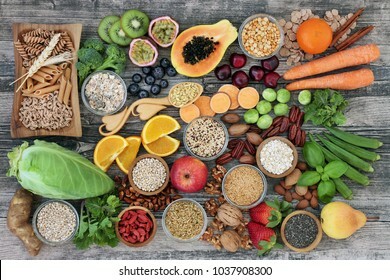 Super food concept for healthy diet with seeds, nuts, fruit, vegetables, cereal, herbs, and grains. Foods high in antioxidants, protein, anthocyanins, dietary fibre and vitamins. Top view. 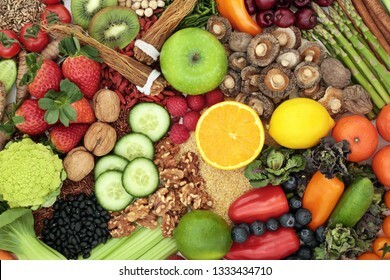 Healthy super food concept with vegetables, fruit, herbs, spice and nuts. Food very high in antioxidants, anthocyanins, omega 3, minerals and vitamins. Health food selection with herbal medicine to relieve anxiety & stress that also helps relaxation, depression & reduces chronic fatigue. High in omega 3, antioxidants, minerals and vitamins. Top view. 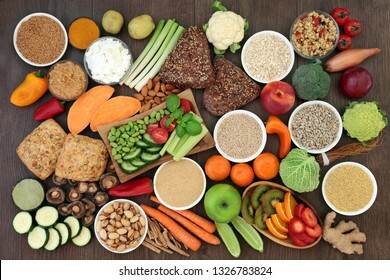 Health food for clean eating concept including grains, seeds, coffee, supplement powders, fresh fruit, vegetables and dairy. High in antioxidants, protein, anthocyanins, vitamins and dietary fibre. 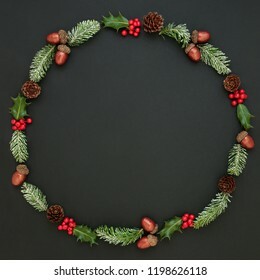 Natural winter and Christmas abstract wreath with snow covered fir, holly, ivy, mistletoe, acorns and pine cones on dark grey background. Traditional christmas greeting card for the festive season. 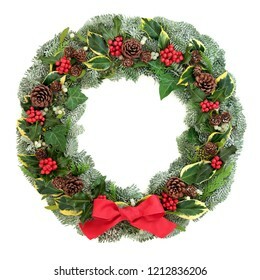 Winter and Christmas wreath with snow covered spruce pine fir, red bow, mistletoe, pine cones, cedar and ivy leaves isolated on white background. 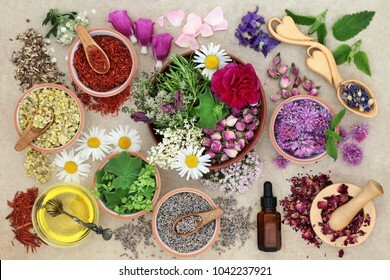 Stress and anxiety relieving health foods, herbs, spices and supplement powders that also help relaxation and reduce chronic fatigue and depression. Top view on oak wood table. 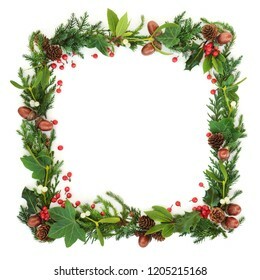 Natural winter and Christmas square wreath border with cedar cypress, fir, holly berries, ivy, mistletoe, pine cones and acorns on white background. Festive card for the holiday season. 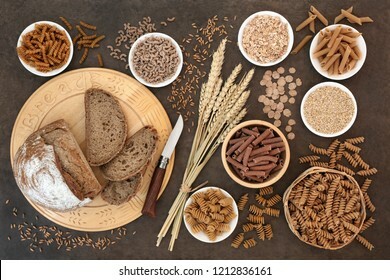 Health food for a high fibre diet with legumes, whole grain bread rolls, whole wheat pasta, seeds, nuts, grain and cereals on lokta paper background. High in antioxidants, vitamins and minerals. 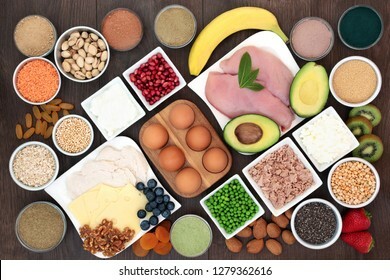 Health food for body builders with high protein lean meat, dairy, dietary supplement powders, pulses, seeds, nuts, grains, cereals, fruit and vegetables. 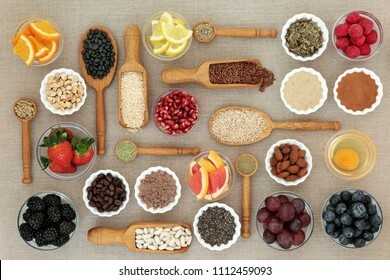 Health food for vegans with fruit, vegetables, seeds, nuts, grains, almond yoghurt, miso, legumes, barley grass powder, spice & herbs. High in antioxidants, protein, dietary fibre, vitamins & omega 3. 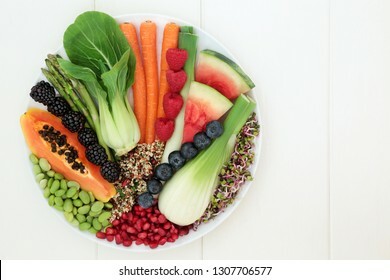 Health food for healthy eating with with fresh fruit, vegetables and grain salad with super foods very high in antioxidants, protein, anthocyanins, vitamins and dietary fibre. Top view. 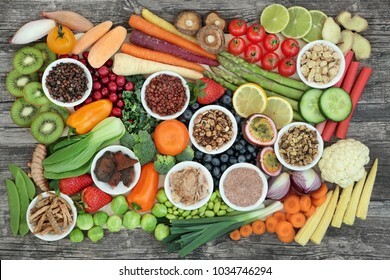 Super food to slow the ageing process concept with fish, fruit, vegetables, seeds, nuts, herbs, spices, supplement powders, green and black teas, high in antioxidants, dietary fibre and vitamins. 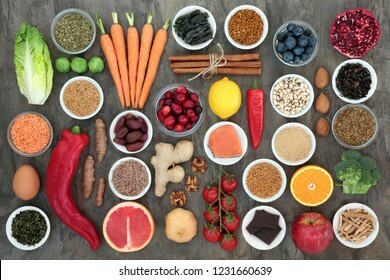 Liver detox super food with fruit, vegetables, herbs, spices,legumes, nuts, seeds, grains, cereals and herbal medicine. 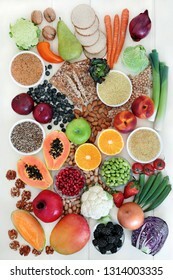 Health foods high in antioxidants, vitamins & fibre. Top view on bamboo & oak. 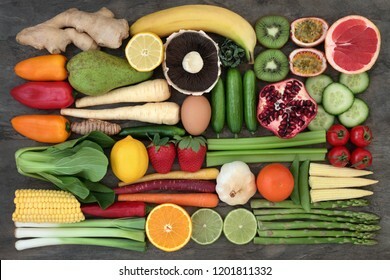 Alkaline healthy food for ph balance with fresh fruit and vegetables, nuts, legumes, herbs, spice and milk. High in omega 3, antioxidants, anthocyanins, fibre and vitamins. Health food to improve brain cognitive functions. 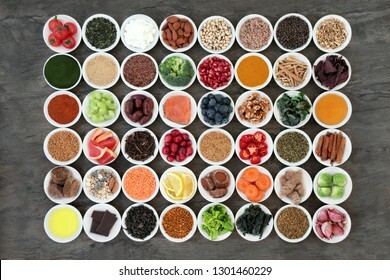 Super foods concept very high in minerals, vitamins, antioxidants, omega 3 and anthocyanins. Top view. 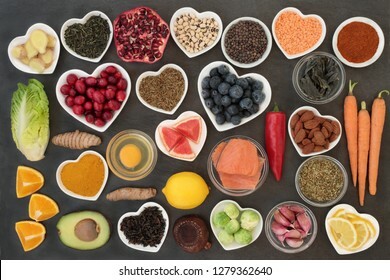 Liver detox health food concept with fresh fruit, vegetables, herbs, spices, nuts, grains and seeds. 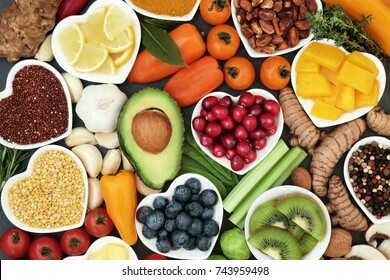 Foods high in antioxidants, anthocaynins, vitamins, minerals and dietary fibre. Top view. 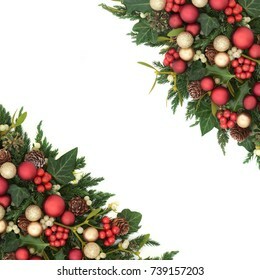 Christmas decorative background border with red bauble decorations, holly, fir, mistletoe and ivy isolated on white background. 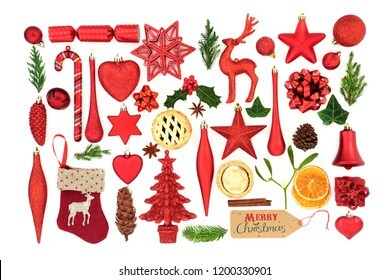 Festive theme. 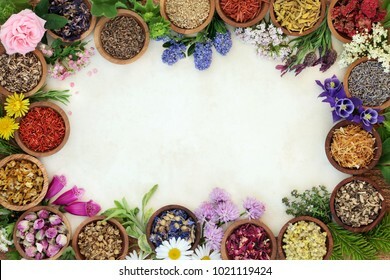 Medicinal herb and flower border with fresh and dried herbs and flowers used in natural herbal medicine and homeopathic remedies on parchment paper background. 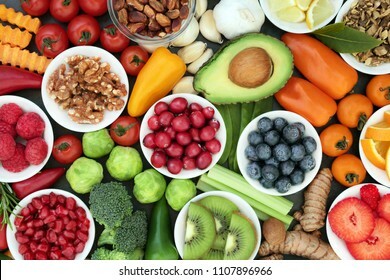 Super food to slow down the ageing process concept including fruit,vegetables,seeds, nuts, herbs, spices, green teas and dairy. High in antioxidants, anthocyanins, dietary fibre and omega 3. 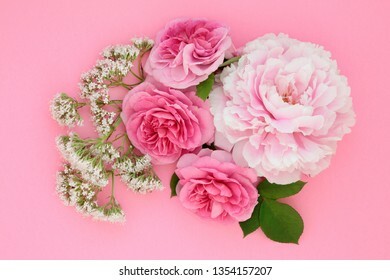 Flowers of summer with peony, valerian and rose also used in herbal medicine and naturopathic cures. Top view flat lay on pink background. 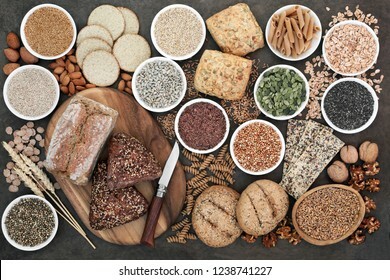 High fibre health food with whole grain bread and rolls, whole wheat pasta, grains, nuts, seeds, oatmeal, oats, crackers, barley and bran flakes on lokta paper background. 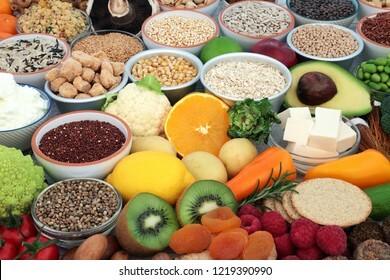 Food to promote brain power and memory concept with nuts, seeds, herbs, vegetables, fruit, dairy and fish. 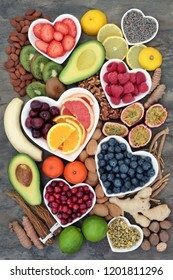 Super foods high in vitamins, antioxidants, omega 3 fatty acids, anthocyanins. Top view. 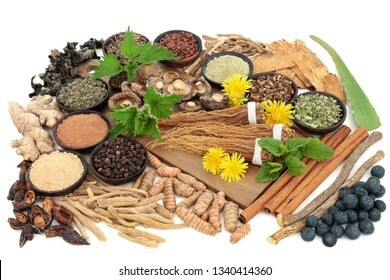 Adaptogen herb and spice selection on white background. Used in herbal medicine to help the body resist the damaging effect of stress and restore normal physiological functioning. With titles. 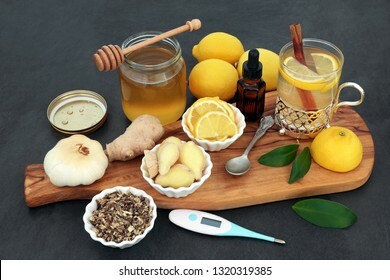 Flu and cold remedy herbal medicine with thermometer, echinacea herb, aromatherapy eucalyptus oil, fresh ginger, lemon fruit, cinnamon sticks and honey with hot drink on slate background. 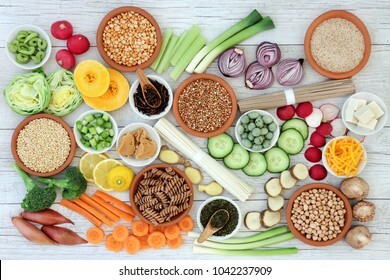 Macrobiotic health food concept with soba and udon noodles, miso, tofu, kuchika tea, wasabi nuts, vegetables, whole wheat pasta, legumes and grains with foods high in protein, antioxidants & vitamins. 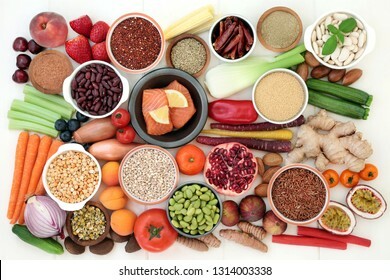 Healthy diet food concept including fish, meat, grains, seeds, coffee, supplement powders, fruit, vegetables & spices. High in antioxidants, protein, anthocyanins, vitamins & dietary fibre. Top view. 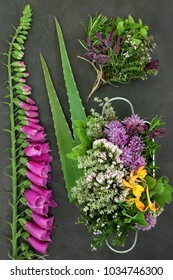 Lavender, chamomile, rose, elderflower and valerian herbs. 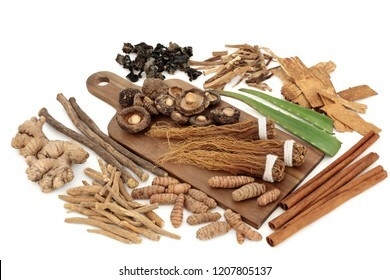 Used in alternative & traditional herbal medicine with the roots & flowers having many health benefits. Top view on rustic wood background. 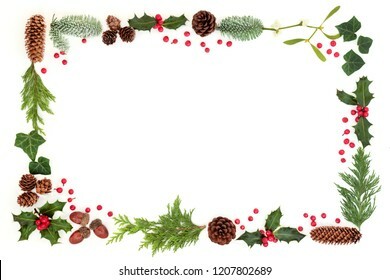 Winter and Christmas natural flora background border with holly and loose berries, leaf sprigs, acorns, mistletoe, pine cones, snow covered spruce fir on white. 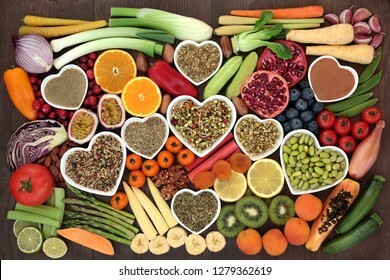 Health food for a healthy heart with fresh salmon, vegetables, fruit, nuts, herbs, spice, and olive oil. Super food concept high in omega 3 fatty acid, anthocyanins, fibre, antioxidants & minerals. 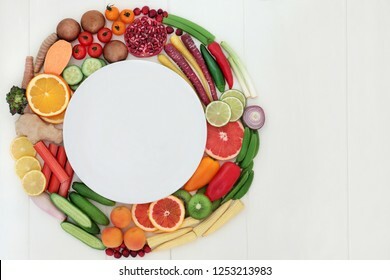 Healthy super food selection to promote good health with fresh fruit and vegetables on marble. Foods high in antioxidants, anthocyanins, dietary fibre and vitamins. Flat lay. Health food for a high fibre diet with apples, whole grain rye bread, whole wheat pasta, oatmeal, oats, bran flakes and wheat sheath. High in vitamins, smart carbs, antioxidants and minerals. 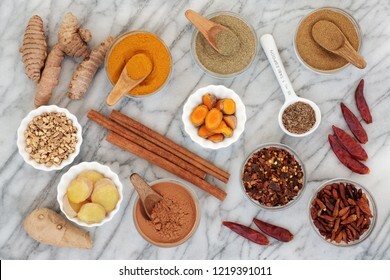 Spices for slimming with turmeric, cumin, ginger, chilli, cinnamon and gymnema sylvestre used to suppress appetite. Top view on marble background. 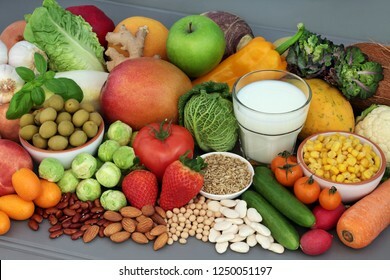 Health food for vegans with tofu bean curd, grains, crackers, almond yoghurt, vegetables, sos mix, fruit, legumes, cereals, herbs, nuts & seeds. High in antioxidants, fibre, omega 3 & vitamins. 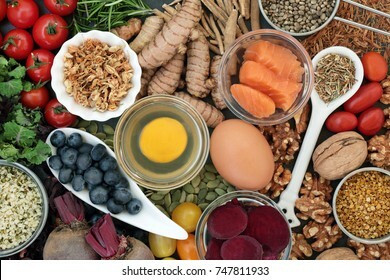 Super food to slow the ageing process concept including fish, fruit, vegetables, nuts, green & black tea, herbs, spices and dairy. High in antioxidants, anthocyanins, dietary fibre & vitamins. 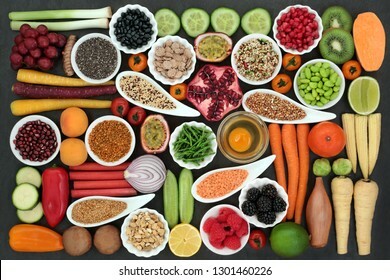 Super food concept for healthy living in a pyramid shape including fruit, vegetables, herbs, spices, supplement powders, grains & cereals, high in antioxidants, anthocyanins, dietary fibre & vitamins. 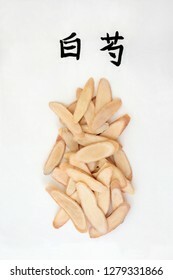 White peony root herb used in chinese herbal medicine with calligraphy script, used for irregular and excessive menses, menstrual pain. Translation reads as white peony root. Bai shao yao. 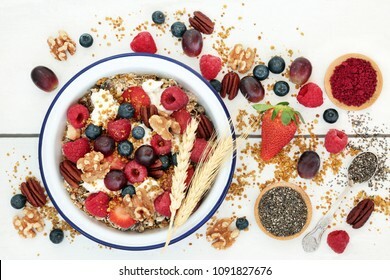 Home made healthy breakfast super food concept with granola, yoghurt, fruit, nuts, chia seeds, pollen grain & acai berry powder. High in omega 3, protein, anthocyanins, antioxidants & dietary fibre. 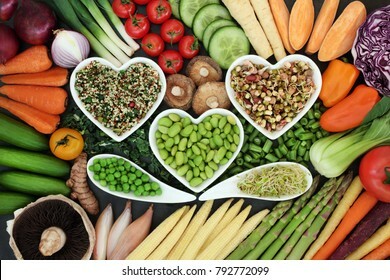 Healthy diet superfood concept with fresh vegetables loose and in heart shaped and curved bowls with food high in antioxidants, anthocyanins, vitamins, minerals and dietary fiber. 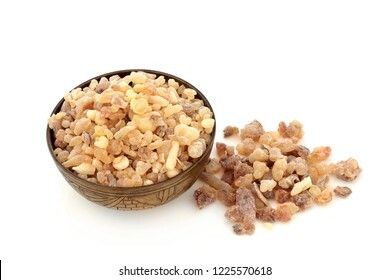 Frankincense aromatic gum resin in an old metal bowl and loose on white background. 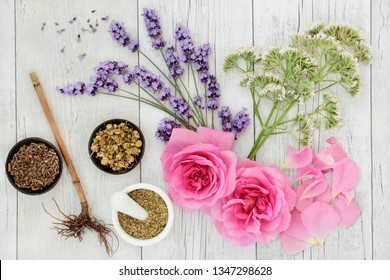 Used in perfumery and aromatherapy industries. Olibanum. 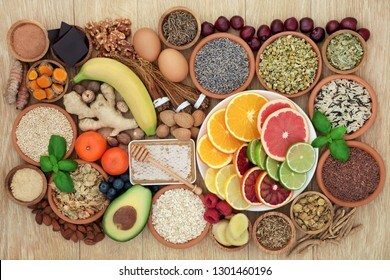 Health food for clean eating concept with fresh fruit, vegetables, dairy, supplement powders, herbs and spices. High in antioxidants, anthocyanins, vitamins and dietary fibre. Flat lay. 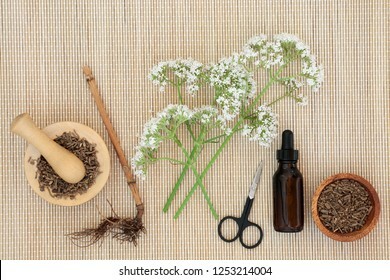 Valerian herb root, flowers & tincture on bamboo background. Used in alternative & traditional herbal medicine to improve mood, reduce stress & insomnia. Valeriana officinalis. 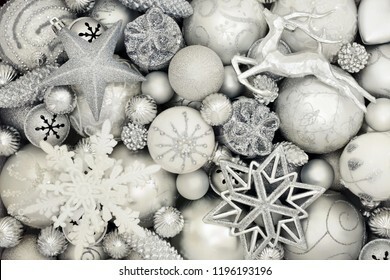 Luxury Christmas silver and white decorations with star, reindeer, snowflake, gift box, balls and pine cone baubles forming an abstract background. Traditional greeting card for the holiday season. 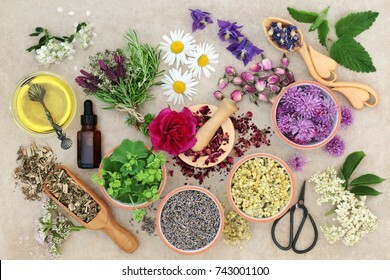 Herbal medicine preparation with herbs and flowers, aromatherapy essential oil bottle and mortar with pestle on hemp paper background. Top view. 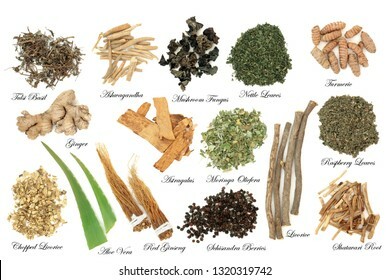 Adaptogen foods with herbs and spices. Used in herbal medicine to help the body resist the damaging effect of stress and restore normal physiological functioning. On white background. 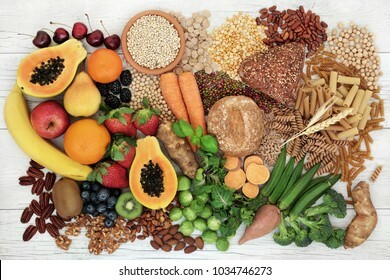 Health food for a high fibre diet with whole wheat pasta, grains, legumes, nuts, fruit, vegetables and cereals with foods high in omega 3, antioxidants and vitamins. Rustic background top view. 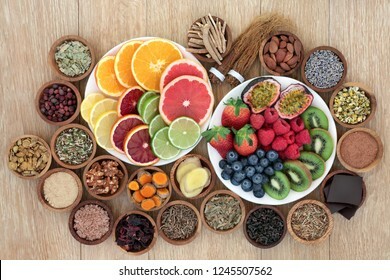 Alkaline health food of fresh vegetables, fruit, herbs, spice and dried legumes on grey wood table background. High in antioxidants, anthocyanins, fibre, minerals and vitamins. 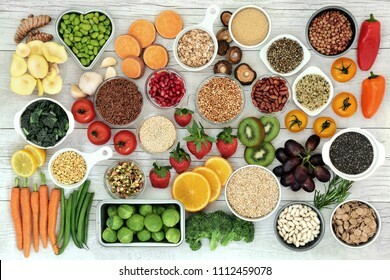 Super food concept for a healthy diet with fruit and vegetables, dairy, spices, nuts, legumes, cereals and grains, high in antioxidants, anthocyanins, dietary fibre and vitamins. 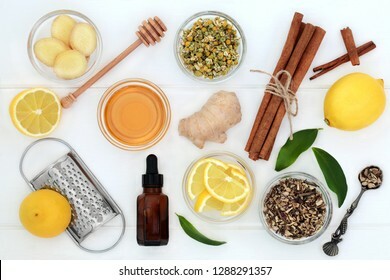 Ingredients for cold and flu remedy with ginger and cinnamon spice, eucalyptus aromatherapy oil, lemon fruit with honey on white wood background. 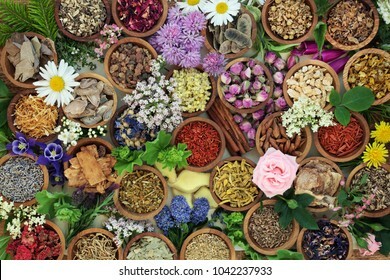 Herbal medicine with herbs and flowers used in chinese and natural alternative remedies with fresh herbs and flowers forming an abstract background. Top view. 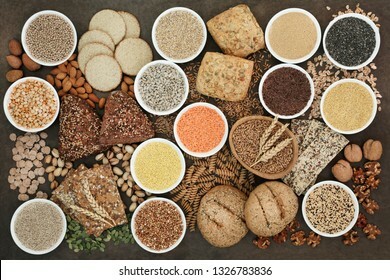 High dietary fiber health food concept with multi seed whole grain rolls, seeds, nuts and cereals on marble background top view. Foods high in omega 3 fatty acids, antioxidants and vitamins. 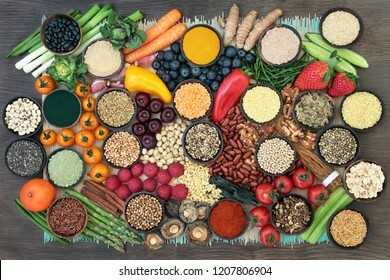 Healthy super food background border on parchment with fresh fish, fruit, vegetables, seeds, grains, nuts, herbs & spices. Very high in antioxidants, anthocyanins, vitamins & dietary fibre. Top view. 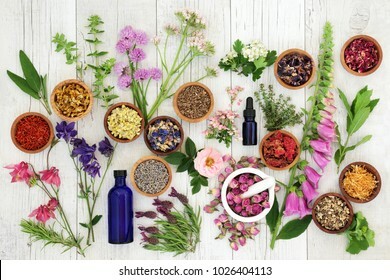 Herb and flower selection used in natural alternative herbal medicine on slate background. Top view. 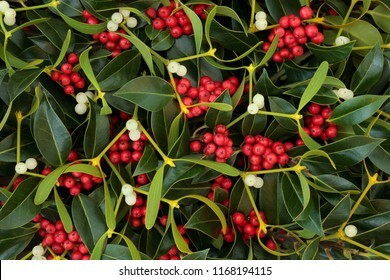 Winter berry holly and mistletoe background. Traditional Christmas greeting card for the holiday season. 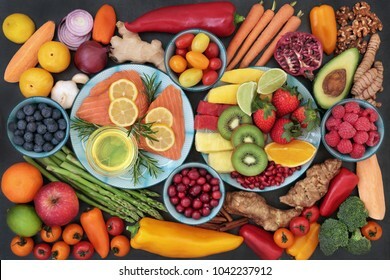 Super food concept for healthy living with fresh salmon, dairy, fruit, vegetables and spices with health foods high in antioxidants, anthocyanins, dietary fibre and vitamins. Top view. 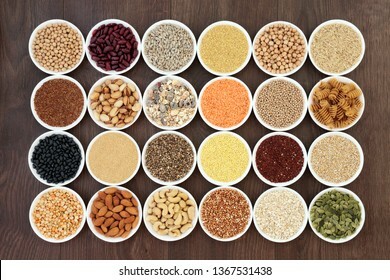 Dried vegan health food with grains, nuts, seeds, sos mix, cereals, wholegrain pasta and legumes. 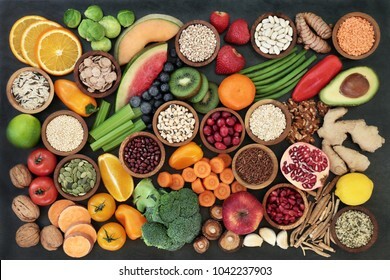 Super foods high in antioxdants, anthocyanins, protein, vitamins and dietary fibre. Top view on oak. 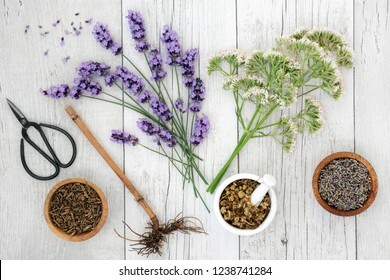 Lavender, chamomile and valerian herbs & essential oil bottle on rustic wood background. 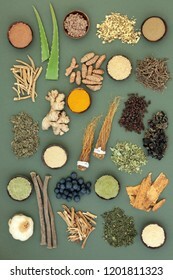 Used in alternative & traditional herbal medicine to improve mood, reduce stress, help depression & insomnia. 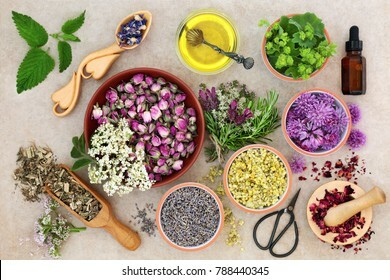 Natural herbal medicine with fresh herbs and flowers, aromatherapy essential oil, mortar with pestle and scissors on hemp paper background. Top view. 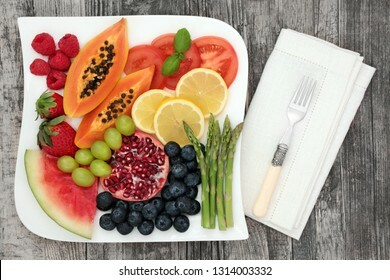 Healthy diet food with fresh fruit and vegetable on a plate with fork and napkin on rustic wood table background. Super foods high in antioxidants, anthocyanins, dietary fibre and vitamins. 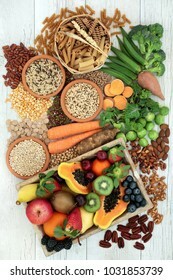 High fibre health food concept with vegetables, fruit whole grain crackers, seeds, nuts, grains & pulses. Foods with omega 3, antioxidants, anthocyanins, vitamins & minerals. Top view on rustic wood. 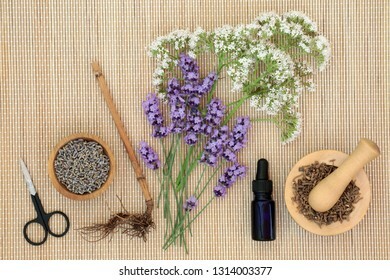 Lavender and valerian herbs & essential oil bottle on bamboo background. Used in alternative & traditional herbal medicine to improve mood, help depression, reduce stress & insomnia. 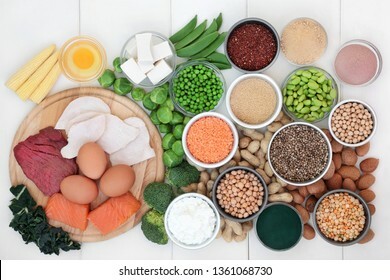 Food with high protein content with legumes, meat, fish, dairy, nuts, tofu, seeds, grains and supplement powders. 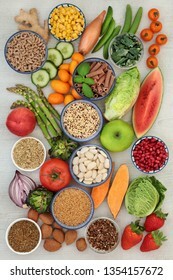 Foods high in dietary fibre, antioxidants and vitamins. Top view on white wood. 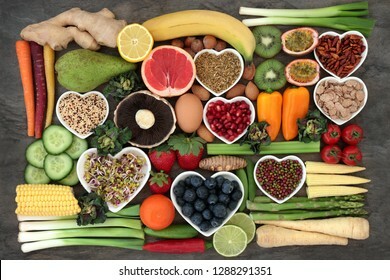 Health food for fitness concept with fresh fruit, vegetables and spices with super foods very high in antioxidants, protein, anthocyanins, vitamins and dietary fibre. Top view on white wood. 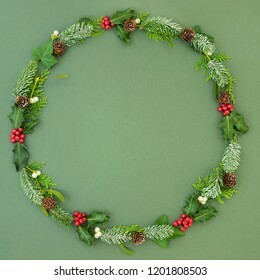 Abstract Christmas square wreath with a selection of traditional symbols including food, flora and tree bauble decorations on white wood background. Top view. 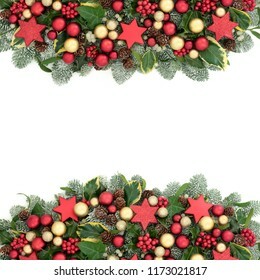 Christmas festive background border with red and gold bauble decorations, holly, ivy, mistletoe, fir and pine cones on white. 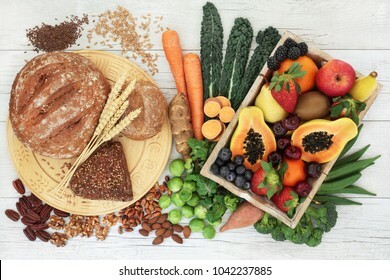 High fibre healthy food concept with wholegrain bread and rolls, nuts, seeds, fruit, vegetables and grains with foods high in antioxidants, omega 3 fatty acids, anthocyanins and vitamins. Top view. 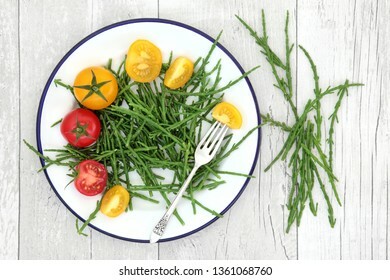 Healthy super food sampler with fresh vegetables, fruit and herbal medicine, in porcelain dishes and loose, top view on rustic background. Health food concept high in antioxidants & anthocyanins.